Pictures of four Chinese men wearing Japanese army Second World War uniforms outside Shanghai's Sihang Warehouse War Memorial Hall have sparked a furor. Sihang Warehouse War Memorial Hall, where five men caused outrage over the wearing of Japanese uniforms. Three men have been detained and two given an admonition for wearing Japanese military uniforms from World War II and posing for photos at a renowned war monument in downtown Shanghai earlier this month. Police announced the punishments yesterday. Four of them are in the photos while fifth took and published the photographs. Earlier, the Sihang Warehouse War Memorial Hall issued a statement criticizing the young men, calling their act “impudent blasphemy” after their photos appeared on the Internet on August 8 and went viral, sparking an indignant reaction from online users. During China’s War of Resistance against Japanese Aggression (1931-1945), Japanese troops invaded Shanghai for the second time on August 13, 1937, but met strong resistance. The conflict in Shanghai, known as the second Battle of Songhu, was one of the bloodiest campaigns in the war. In the autumn of 1937, a few hundred Chinese soldiers successfully defended against Japanese invading troops at the warehouse. Entrenched around the concrete warehouse just opposite the so-called International Settlement at that time, the Chinese officers and men of the 524th Regiment, 88th Division, knew only too well that their mission was suicidal, but they accepted their fate stoically to showcase Chinese courage. Their ordeal started on October 26, 1937, continuing for a further four days of brutal fighting until the main Chinese Army had successfully withdrawn. 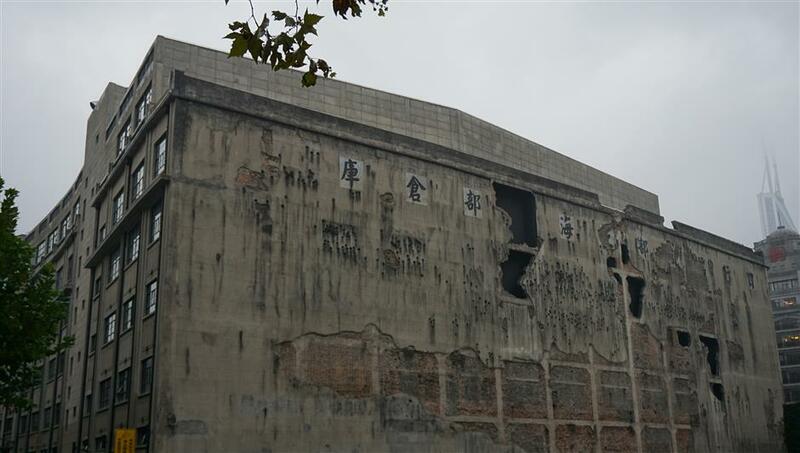 Their heroic stand during the defense of Sihang Warehouse had amply demonstrated Chinese courage to the world. Police said the five, who are from out of town traveled to Shanghai on August 1 and took the controversial pictures about 10pm on August 3, with one of them putting the pictures onto the Internet a few days later. 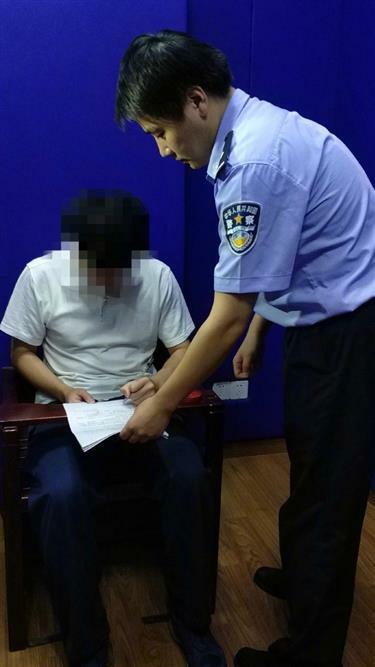 The suspects turned themselves in when Shanghai police traveled to Sichuan, Zhejiang and Beijing to investigate the case, police said. They didn’t reveal for how long the three offenders will be held in detention, but said two of the five were not detained because they were under the age of 18. The five, who claimed to be fans of military uniforms, were also made to write down notes of apology for hurting the feeling of their compatriots who will never forget that more than 35 million people in China died or were injured in World War II. The police yesterday said the five men knew that the warehouse was a famous historic site. Their actions were offensive to Chinese people, police added, and the accused had fallen foul of the law on penalties for administration of public security.